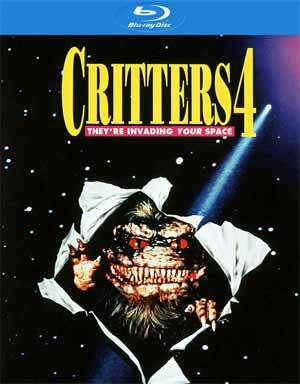 Note: This release is part of the Critters Collection and currently is not individually available for purchase. Plot Synopsis: The Critters are back in this sci-fi space adventure. But these are no ordinary Critters – they’re super strain of genetically engineered mutants designed to take over the universe. This time, they’re hungry to conquer the galaxy, with an appetite for mankind that’s out of this world. Taking them on are a wreckage crew comprised of Captain Rick (ANDERS HOVE), pilot Fran (ANGELA BASSETT), engineer Al Bert (BRAD DOURIF), his protégé Ethan (PAUL WHITTHORNE) and mechanic Bernie (ERIC DARAE). Also arriving, from the past after being trapped inside a pod with two Critter eggs, is good old Charlie (DON OPP). 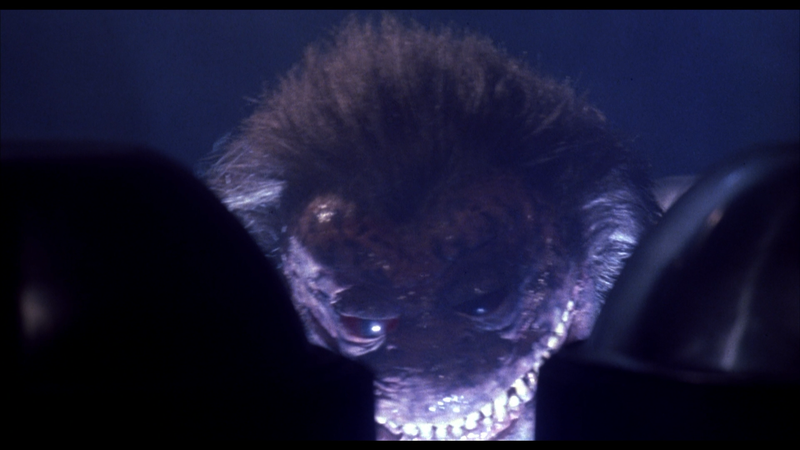 Quick Hit Review: Critters 4 is the final installment, at least until New Line decides to do some sort of soft reboot, in the series and where the first movie reminded me a lot of Gremlins, this one oddly was like Alien Resurrection. The space element was a good twist on the story, as was the apartment complex in Critters 3, it’s unfortunately this nice cast, which includes Angela Basset and Brad Dourif, didn’t get much to work with. Critter veterans Don Opper (now top billed) and Terrence Mann reprise their roles as Charlie and Ug respectably, with an almost soap opera turn for the latter. No, it’s not very good but did take on a different, and darker, look under the direction of British filmmaker Rupert Harvey, who also served as a story writer. 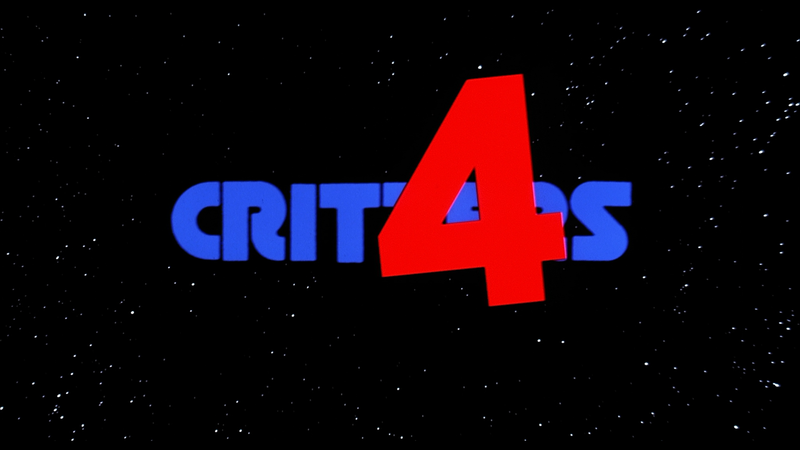 This fourth movie was filmed back-to-back with Critters 3 as a way to save money, but at the same time, done on a shoe-string budget (according to the featurette, something like a $2.5M budget for both). Because of this, the Critters themselves aren’t seen as much and it seems most of the kills were done by the humans than those fur balls, but they did get their two pounds of flesh, including one pretty gnarly death early on. This has a reversible cover revealing the original poster artwork. Audio Commentary – Story Writer/Producer/Director Rupert Harvey. This track, like the others in the franchise, is pretty decent who does provide some information on the production and with moderator Michael Felsher of Red Shirt Pictures, does keep it flowing. Space Madness: The Making of Critters 4 (22:39) is a pretty good featurette containing interviews with Producer Barry Opper, Actors Don Opper and Terrence Mann, Critter Designers the Chiodo Brothers, Screenwriter David J. Schow and Director of Photography Thomas J. Calloway. Some of it was pretty honest about the tight production. Last up is the Trailer (2:10) and a Still Gallery (3:05). The film comes to Blu-ray presented, for the first time I believe, in the originally intended 1.85 widescreen aspect ratio as home video releases were 1.33. The 1080p high-definition transfer, albeit did not get the 2K scan, still was pleasant looking even with the literal darker tone. Colors are more on the muted side yet still shine through and detail on close-ups were decently sharp while some of the distant shots were on the fuzzier side. As with Critters 3, this too had some specs and dirt show up however nothing I considered overly distracting. The DTS-HD Master Audio Stereo track is serviceable with good dialogue levels with only some minor noise present, I’m assuming due to the original sound design. Otherwise, ambient noises, like the Critter’s scrambling around the space station, come through the dual channels well enough. It’s nothing terribly remarkable but adequate for a movie like this. Overall, I suppose there are worse ways to spend 90-minutes than sitting through Critters 4, even if the titular creatures don’t seem to have as much screen time with only two on-screen kills. 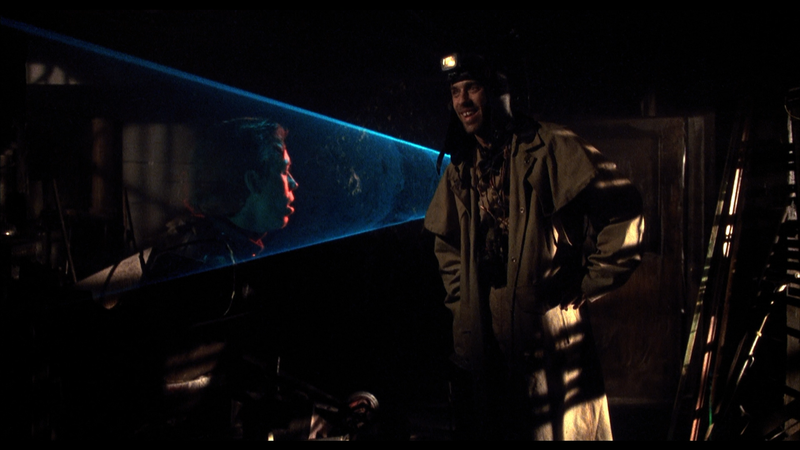 Of note, though, the inclusions of Angela Bassett and Brad Dourif did make it more interesting. This Blu-ray release has good video/audio transfers and an okay selection of bonus material.